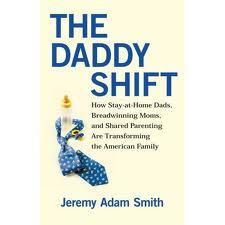 In The Daddy Shift Jeremy Adam Smith takes us into the lives of stay-at-home dads. He knows it first hand because he is one. In addition to his personal stories and the stories of other stay-at-home dads, he gives readers historical data, and discusses sociological and psychological studies relating to stay-at-home dads and its impact on relationships, children, communities and society. The U.S. Census has told us that the number of stay-at-home dads has doubled and then some since the mid 90s, when there were an estimated 64,000 stay-at-home dads in the United States. Over 20 years later in 2007, the estimated count was at about 159,000. While these numbers only reflect dads who do no work for pay at all, in Smith’s interviews with stay-at-home dads he found that most of them do earn some income outside the home, such as freelance work. 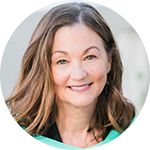 The Census would not take this into account, so Smith contends that there are more primary care dads than we think. Smith talks about things these dads have to deal with, including what might come up for them in terms of making less income that their wives, and dealing with negative perceptions from family, and the community (e.g., schools, playgrounds). Not only one of the great books for men who are or are thinking about taking on this role, this book is a very informative read for those with and without kids, because at its heart, it is about the evolving roles in parenthood, and the gender roles of men and women in general.